Over the years, we have developed 5,000 square feet facility at Santacruz 8,000 square feet facility in Vashi and 25,000 square feet facility at Vapi, Gujarat. For hassle-free functioning of the business operations, we have segregated our well-developed infrastructure into manufacturing, quality, warehousing & packaging and sales & marketing departments. 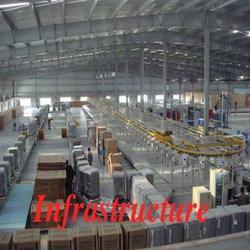 We have developed distribution centers at Matunga, Vashi and in Vapi (Gujarat). With the help of our fleet of vehicles, we deliver the products within the committed time schedule. It is noteworthy that organization's headquarter include a capacious warehouse and an extensive showroom. 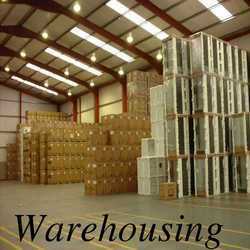 Our warehousing & packaging unit is capacious enough to store bulk quantity of products in an organized manner. For this purpose, the ventilated and moisture resistant wing is built with shelves and racks. We have appointed cleaning personnel for making this unit free from rodents and dust. Moreover, our supervisors track down the entire records of the procured raw material, products and dispatched consignments. Our unit is well connected with road and rail network and because of this, the products are dispatched to the customers' desired location within committed time schedule.